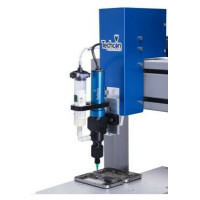 Techcon’s PC Pump uses a special stator and rotor design to provide accurate and consistent dispensing output. 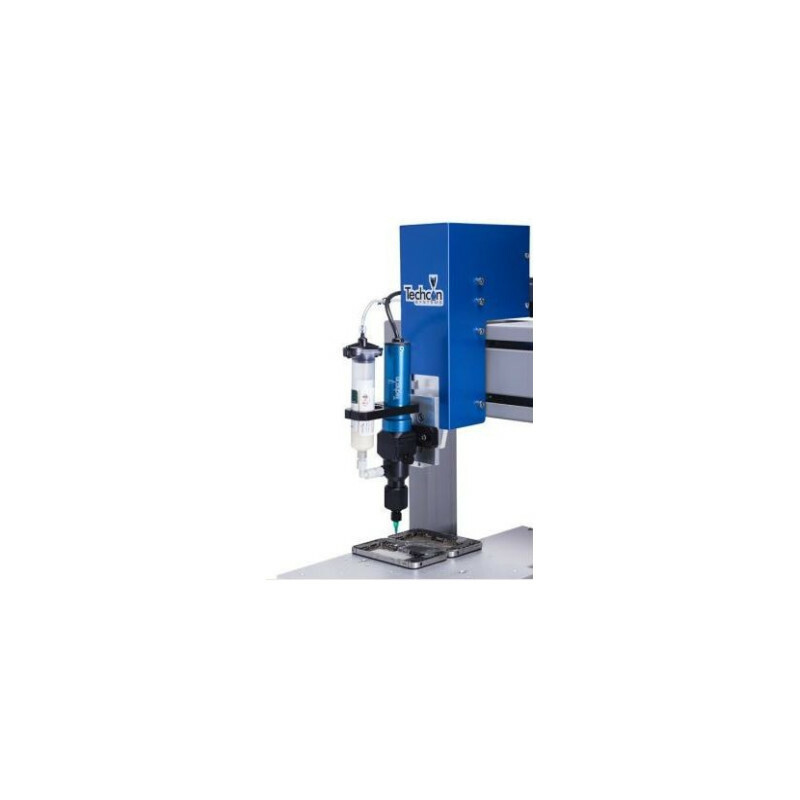 The pump can dispense a wide range of fluids, from low viscosity coatings to high viscosity greases. The turning rotor on the TS8100 moves the fluid in tightly sealed cavities through the stator’s fluid chambers to create a volumetric fluid flow that does not change the shape or size of the fluid. Due to the PC pump’s unique dispensing technology, accuracy and repeatability of ± 1 percent is achievable. The TS8100 comes standard with a syringe bracket, mounting bracket kit, luer lock fitting, cleaning kit and dispensing tip selection pack.